RBC indices (red blood cell indices) are used to check the size of red blood cells and the amount of hemoglobin in your blood. RBC indices are part of a complete blood count (CBC) which is used to check the health of your blood. Usually, red blood cell indices can help diagnose various types of anemia and help identify the cause of the low red blood cell count. Red blood cells look like doughnuts without the hole in the center and carry oxygen throughout your body. Red blood cells are also necessary to remove carbon dioxide from your body. If there are abnormalities with your RBC indices, you might find that you get tired easily, are short of breath, get dizzy, and have pale skin. Some common reasons why problems can show up in your RBC blood tests are a lack of iron in your diet, vitamin B12 deficiency, blood loss, or a gastrointestinal disorder. Usually, if your RBC indices indicate a problem, your doctor will run further tests to establish the exact cause. Very often, increasing iron levels in your blood or addressing the underlying cause helps to normalize your red blood cell count. In this article, I will look at the 3 main components of RBC indices and look at the causes why they can be too low or abnormally high. What Are RBC Indices? What Are They Used For? Mean corpuscular volume (MCV) of your blood cells. Abnormal RBC indices can happen for a number of reasons. For example, you may have anemia because your body doesn’t produce enough red blood cells. Or blood loss during heavy menstruation could cause a drop in your hemoglobin levels. In some cases, anomalies in your red blood cell indices are the result of red cells getting destroyed too quickly. What Are Normal RBC Indices? However, in diagnosing various types of anemias, total CBC count is just part of the story. Doctors need to check the red blood cell indices, in other words, know the MCV, MCH, and MCHC levels of the red blood cells. If you are concerned about abnormal RBC indices from a CBC blood test, here are some reasons for abnormal test results. What does it mean in a blood test if you have high MCV that is more than 100fL? Here are some of the reasons. A common reason for blood test results showing higher than normal levels of MCV is a vitamin B9 (folate) or vitamin B12 deficiency. Both folate and vitamin B12 are essential for proper brain function and to strengthen your immune system, and one symptom of a B12 deficiency is constant headaches or migraines. High MCV levels could also be a sign of liver disease as impaired liver function causes the red blood cell MCV to become larger. If you frequently feel fatigued, put on weight, have a puffy face, and MCV levels are above 100 fL, you may suffer from an underactive thyroid. You will also show signs of anemia if the average corpuscular volume of red cells is too low and below 80 fL. What are some of the reasons for low MCV? If CBC test results show that MCV levels are below 80 fL (microcytosis), it could be an indication that you have iron deficiency anemia. Some of the other symptoms of iron deficiency anemia are constant fatigue, difficulty concentrating, difficulty shaking off illnesses, and cracks at the corner of the mouth. Heavy menstrual bleeding or gastrointestinal disorders can cause chronic blood loss which will lower your MCV levels. If you have heavy menstrual periods, you should consult with your doctor. Let’s look at some of the reasons for abnormal MCH levels that are higher than the normal range, and why you could have more hemoglobin than normal in a single red blood cell. CBC blood test results that show higher than normal MCH and high MCV could be due to liver disease. The proper liver function is essential for the body to produce hemoglobin in the right amounts. A vitamin B12 deficiency can also result in the average concentration of hemoglobin in your red blood cells being higher than normal. It is generally more common that CBC test results show lower than normal MCH rather than elevated levels. Here are some of the reasons why you could have low mean corpuscular hemoglobin. Iron deficiency anemia is a condition in which your body can’t produce enough hemoglobin and it will show up as low MCH in test results. One condition your doctor may check for if you have low MCH and signs of anemia is how your thyroid is functioning. Thyroid dysfunction can be a reason for having either low or high mean corpuscular hemoglobin. Because of malabsorption caused by gastric surgery your body may have trouble absorbing iron resulting in low MCH. Celiac disease is another reason why your body doesn’t absorb enough iron and shows symptoms low MCH levels in a lab test. Knowing the average concentration of hemoglobin in your blood cells is also important for doctors to diagnose causes of anemia. What can cause abnormal MCHC levels? Here are a few of the most common causes of low mean corpuscular hemoglobin concentration. Malabsorption due to gastrointestinal problems like Crohn’s disease, celiac, or Helicobacter pylori infection. If CBC blood test results show that your red blood count indices are abnormal, your doctor will usually recommend increasing your iron and getting enough B-group vitamins. 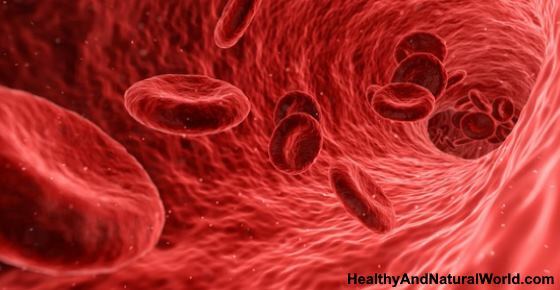 Here are some natural ways to improve your RBC indices to treat anemia and also prevent low hemoglobin levels in your blood. Increasing your dietary intake of iron can help to increase MCV, MCH, and MCHC levels in your blood. Another way to improve your RBC indices if they are too low is to increase your intake of foods rich in B vitamins and folic acid. If your RBC indices show that you are very anemic, doctors may suggest that you take iron supplements to reduce anemia and its symptoms. If CBC blood tests show that your RBC indices are too high, you should avoid habits that can cause abnormalities in your red blood cells. Reduce alcohol consumption to help your liver recover. Drink plenty of water to flush toxins from your kidneys and improve your blood work. Address any thyroid issues that you have to help regulate your production of red blood cells. Int J Lab Hematol.2013 Jun;35(3):351-7. NHS. Red blood cell count. Clin Med Res. 2006 Sep; 4(3): 236–241. PatientInfo. Macrocytosis and macrocytic anemia. Am Fam Physician.2009 Feb 1;79(3):203-208. Am Fam Physician.2010 Nov 1;82(9):1117-1122. Management of anemia. pp 129-142. Med Clin North Am.1992 May;76(3):549-66.